Of all the cells we have floating around in our bodies, about 2 billion (roughly 5-15 percent of the total) are known as “natural killer” (NK) cells. The name makes them sound dangerous – and indeed they are, but only to cancer cells and other pathogens that can hurt the body! NK cells are a critically important component of our “innate immune system,” so maintaining a good NK cell level is important for everyone. And especially if you are on a cancer-healing or prevention path of any kind, a healthy amount of properly functioning NK cells in your system is absolutely vital. Follow the steps below to make sure you have plenty of active NK cells in your system and that they are operating at their best in order to hunt out and destroy any cancer cells that may be lurking in your body. Natural killer cells are a type of lymphocyte or white blood cell that is part of the lymphatic system. NK cells have the important job of “patrolling” your bloodstream and are on constant lookout for foreign invaders and cancer cells. They are formed in the bone marrow, lymph nodes, tonsils, thymus, and spleen and can also be found in the liver, intestine, skin, and lungs. Did you know that there are cancer cells developing in your body at this very moment? But if your NK cells are healthy, strong, and plentiful, you have nothing to worry about. These microscopic “exterminators” have the ability to “control both local tumor growth and metastasis,” according to a comprehensive report published in the Journal of Biomed Biotechnology in 2011. Metastasis refers to the spread of cancer cells from one part of the body to another, usually via the lymphatic system and the blood. NK cells block the growth and spread of cancer through their ability to directly cause cellular cytotoxicity and death in cancer cells. Step 1. NK cells patrol the body and bloodstream looking for the “bad guys,” including viruses, bacteria, foreign matter, and of course, cancer cells. Step 2. Once an NK cell spots something that looks out of the ordinary, it calls its friends into action. A pack of NK cells is formed and together they squirt a toxic substance directly at the unhealthy cell. Step 4. The NK cell then releases a hormone that will put the call out to other immune system cells, which then enter the area and “eat up” the remains of the unhealthy cell. Just how does an NK cell know the difference between a healthy cell that’s a normal part of the body and a cancer cell? Natural killer cells have a built-in “detection and communication” system that can talk to the nucleus of a suspect cell to find out if it is normal or unhealthy. Based on that information, they determine if they will attack or not. Now THAT’S a smart cell! In fact, for years researchers have been stumped as to exactly how NK cells can so specifically target unhealthy cells while leaving healthy cells alone. Although much progress has already been made into finding out what makes these cells so unique in this regard, ongoing research continues to shed new light. 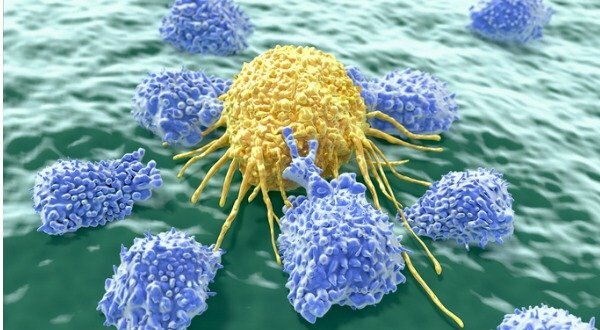 Cancer researchers hope that further investigations into NK cells will lead to new strategies for dealing with cancer cells more effectively. #1. Keep Your Gut Healthy. 65-70% of your immune system is housed in the lining of your intestinal tract, including a fair amount of NK cells. 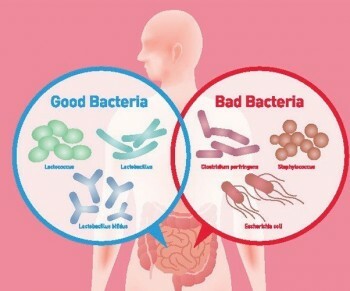 Maintaining a balanced amount of gut flora in your intestines is essential for proper immune system functioning and to ensure that your NK cells are working efficiently. Avoiding sugar, processed foods, and simple carbohydrates as much as possible, taking a daily probiotic and consuming prebiotics such as fermented foods as well as bone broth can all help to not only boost your immune system, but also repair and prevent conditions that can lead to leaky gut syndrome. Intestinal distress conditions such as leaky gut are believed to be the foundational cause of autoimmune disease. Studies such as a 2013 investigation conducted by the University of Washington have already established a clear link between autoimmune issues and impaired NK cell production, as well as low NK cell functionality. #2. Reduce Your Overall Toxic Load. As we age, we are exposed to more and more stressors in life. The unfortunate result of this exposure is a process called immune senescence, which is a general decline in overall immune system function. A typical example of immune senescence would be the “reawakening” of the chicken pox virus in an older adult in the form of shingles. A part of age-related immune system decline is probably because of the lower effectiveness and production of NK cells. Some of this is unavoidable as we age, but there are also many things you can do to maintain your immune system integrity and keep your NK cells healthy. First of all, be aware of the toxic effects of stress and how you respond to the stressors in your life. Stress responses and the cascade of hormonal releases they can trigger have been directly linked to lowered immune function. Also, be aware of how you are exposing yourself to outside toxins through what you eat, if you still have amalgam fillings and root canals, what sundry products you put on your body, what household cleaners you use, and what toxins you may be exposed to in your community and in your workplace. Take measures to reduce your toxic load as much as possible through using natural products and “going organic,” as well as removing any heavy metals from your mouth. Then establish a routine detoxification regime for yourself through the use of gentle cleanses that include supplementation, enemas, and sauna sessions. All of these healing modalities have been documented as extremely effective for relieving stress, healing the body, and boosting the immune system. #3. Raise Your Melatonin Levels Through Quality Sleep and Supplementation. Melatonin, a hormone that is produced by the pineal gland, is a powerful cancer inhibitor in and of itself, especially when it comes to breast cancer. Studies have shown that it has the ability to literally “put cancer cells to sleep.” It also appears to have an effect on cancer stem cells, according to a 2016 Brazilian study published in the peer-reviewed medical journal Plos One. If you think you may be deficient in melatonin, be sure to get your levels checked regularly and consider a quality supplement, especially if you suffer from insomnia. #4. Eat More Organic Blueberries. #5. Add Some “Spice” to Your Diet. The anti-cancer properties of “super spices” like turmeric have been thoroughly established. But did you know about the healing power of black pepper and cardamom, in particular, for boosting the immune system and enhancing the effectiveness of NK cell function? According to a 2011 study published in the Journal of Medicinal Food which focused specifically on these two spices, their immune- regulatory effects were conclusively proven. However, the researchers were surprised at the effect these two spices had on NK cells in particular. #6. Up Your Beta-Carotene Count. Foods that are high in beta-carotenes such as sweet potatoes, carrots, kale, spinach, and spirulina can stimulate NK cell activity. An interesting study done almost 20 years ago and published in the International Journal of Food Sciences and Nutrition compared the effectiveness of NK cells treated with beta-carotene and vitamin E, respectively, when these NK cells were interacting with human and mouse model lymphoma cells. The study researchers found that both vitamin E and beta-carotene-infused NK cells displayed enhanced cytotoxic activity against lung cancer cells. #7. Eat More Garlic and Mushrooms. Garlic is rich in ajoene, allicin, and thiosulfinates, all sulfur-rich compounds that can boost the immune system. A study conducted by Tarbiat Modares University in Tehran and published in the journal International Immunopharmacology found that sulfur-containing compounds in garlic can stimulate NK cell production and activity. They also found that certain compounds in garlic directly blocked the growth of breast cancer cells in mice directly. 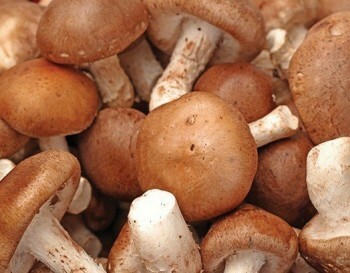 In addition, mushrooms, and especially mushroom extracts, are said to be rich in beta- glucans, which have been proven to increase T-cell counts as well as NK cell production. T-cells are another type of lymphocytes (white blood cells) that are critical for immunity. A 2009 study at the University of Hong Kong found that beta-glucans can trigger several immune receptors, including those on macrophages and NK cells. A 2014 study published in the International Journal of Oncology found that the immune-boosting properties of beta-glucans may specifically help to suppress endocrine-resistant breast cancers by regulating breast cancer gene expression. Multiple studies have also noted the fact that different sources of beta-glucans have differing potencies – so be sure that if you opt for a beta-glucan supplement, you get one that you know is from a pure source and that the product does not contain fillers. #8. 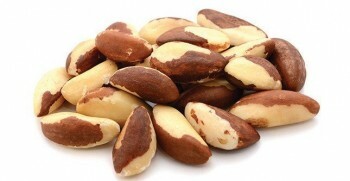 Make Sure You’re Getting Plenty of Selenium. Interleukin-2 receptors are a type of protein expressed on the surface of immune cells which respond to a substance called IL-2 and helps cells of the immune system to communicate with each other. These receptors stimulate movement towards sites of inflammation, including areas where cancer cells may reside. Selenium’s effect on immunity and in particular NK cell activity has also been connected directly to improved breast cancer prognoses. #9. Want to Really up Your NK Cell Count? Consider Enzymatically Modified Rice Bran. In addition, an unpublished in-house study conducted by Daiwa Pharmaceutical Co., a Tokyo-based natural products company, showed that a dose of 500 mg/day of EMBR given to healthy participants who were 45 to 55 years of age resulted in a three-fold increase in NK cell activity within three weeks, with no known side effects. EMBR is available in supplement form and is available from Source Naturals as well as in a product called BioBran from Daiwa Pharmaceutical company. If you do a search in Google or on Amazon for BioBran, you will find it available for purchase. #10. 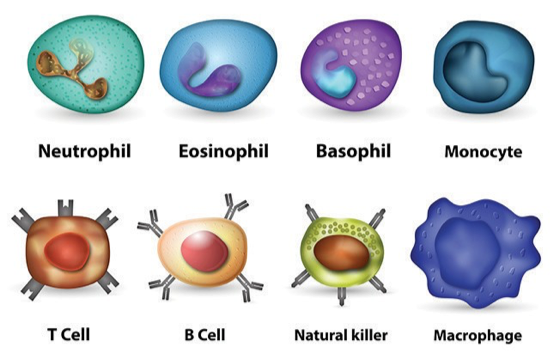 Consider these Other Powerhouse NK Cell Stimulators. Other NK cell stimulators include vitamin C, hydrogen peroxide, and hypothermia modalities. Vitamin C is a well-known powerhouse of the immune system. According to a report published in the journal Immunopharmacology and Immunotoxicology, “Vitamin C in high oral dose was capable of enhancing NK activity up to ten-fold in 78% of patients” who had originally been exposed to high levels of toxins. Hydrogen Peroxide has been proven to stimulate NK cell production while alkalizing the whole body. For a gentle at-home alkalizer, mix one part 35% food-grade hydrogen peroxide with 10 parts water. (Make sure you’re getting the food-grade peroxide, not the kind commonly available in drug stores). Begin with just a few drops in a glass of water and gradually increase to one (1) teaspoon in water, once daily. Finally, raising the body temperature through modalities such as far-infrared sauna sessions, healing baths, heliotherapy, and the use of a Biomat has been directly linked to increased immune function. In fact, according to Dr. Nobuhiro Yoshimizu, MD, PhD, author of The Fourth Treatment for Medical Refugees, for every one (1) degree that the body temperature is raised, there is a 40% increase in immune function! Other NK cell stimulators of note include Echinacea and Panax Ginseng. Without a doubt, the two billion or so natural killer cells that are currently residing within your body and blood are the true “superstars” of your immune system. 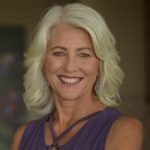 No matter what your health challenge may be, or if you just wish to be proactive with prevention, upping your NK cell levels naturally using the various approaches I have described above will not only help to boost your immunity in general… it may also help you prevent and even heal cancer in your body. Natural killer cells are a type of lymphocyte or white blood cell that is part of the lymphatic system. Raise your melatonin levels through quality sleep and supplementation. Vitamin E and beta-carotene affect natural killer cell function. The effects of beta-glucan on human immune and cancer cells. MGN-3 arabinoxylan rice bran modulates innate immunity in multiple myeloma patients. Natural killer cells in human autoimmune disorders. Multiple associations between a broad spectrum of autoimmune diseases, chronic inflammatory diseases and cancer. Effect of Melatonin in Epithelial Mesenchymal Transition Markers and Invasive Properties of Breast Cancer Stem Cells of Canine and Human Cell Lines. Immunomodulatory affect of R10 fraction of garlic extract on natural killer activity. Enhancement of natural killer cell activity and T and B cell function by buffered vitamin C in patients exposed to toxic chemicals: the role of protein kinase-C.
β-D-glucan inhibits endocrine-resistant breast cancer cell proliferation and alters gene expression. The role of melatonin in immuno-enhancement: potential application in cancer. Excellent and helpful summary, easy to understand and clear to follow. Thank you! Thanks for the feedback Joanne! Or do they cancer cells need to be circulating freely around the body/blood stream etc. I could not find any access to EMBR. I could not find any way to buy BioBran either, unless possibly from the Japanese pharmacy online. I have written to them to find out if they supply it, but no response yet. Please, do you know–with 100% certainty–where to actually get both these products? Please tell me. Es una excelente información, tengo un niño con proceso vde leucemia linfoblastica células B, a tenido una recaída después de estar ya en un año en vigilancia sin quimios, y volvemos. A empezar,..
Toda esta información es de gran utilidad, tendrás alguna otra más específica para este padecimie yo?? Excellent article with good advice. I have healed myself from Cancer years ago. I keep myself healthy by eating a good, plant based diet, sleep and exercise. Excellent article ,have lymphoma stage 4 ,eat organic food,healing mushrooms.